Whether it’s muddy paws or an “accident”, any pet owner knows that when you have pets you’re going to have pet stains. If you have set-in stains and offensive odors in your home we’re here to help. 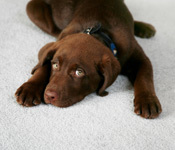 King’s Carpet Cleaning use environmentally friendly products, which means they are safe for your pets. Our professional rotary extractor will remove those stains, and our pet and child friendly deodorizer will neutralize those offensive odors. After our cleaning process is complete, we will use a professional-grade carpet and/or fabric protector, which will make your pet’s next accident easy to clean up. King’s Carpet Cleaning use the best professional car products to clean, polish, wax, and seal your automobile exterior to make it shine! When it comes to the interior, our products cut through dirt in an instant and bring new life to the materials. King’s Carpet Cleaning will clean every part of your auto interior to restore that new appearance and “new car smell.” Automobile carpets are often overlooked, and they often become heavily soiled and matted, leaving a grungy, unappealing appearance. We will thoroughly clean your carpets and minimize any odors. 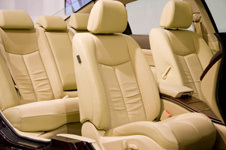 We also offer protector to prolong the life of your auto carpet and upholstery. Are you tired of searching for a quality, professional company to clean your RV? King’s Carpet Cleaning has been cleaning RVs for years. We will dust, polish, disinfect, vacuum, and mop the interior and effectively wash the interior of your RV until it shines and smells like new! Area rugs give that extra personal touch to any home, but they can be a costly investment. 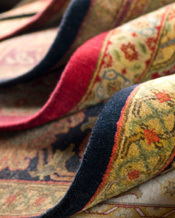 Your rugs are at risk for being permanently damaged if you clean them incorrectly or don’t clean them on a regular basis. Moths have been known to devour areas of rugs due to lack of vacuuming. Also, dirt breaks down the delicate fibers of your rugs and causes uneven wear. Our cleaning process is gentle and customized to your specific rug. So, please leave the cleaning of your beautiful rugs to the highly trained staff of King’s Carpet Cleaning. 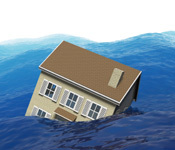 Water and flood damage is serious and hazardous to your health. Untreated water damaged areas will lead to dangerous accumulations of mold, so the first thing on our minds is safety. Electrical shock, slip and fall risks, as well as disease from dirty microbial contaminants in floodwaters are some other risks of flood damage. When you hire King’s Carpet Cleaning, we will begin our water extraction process by inspecting the location for all seen and unseen moisture. Then we will stop water from further damaging your belongings or other parts of the structure. We will then bring in dehumidifiers and a professional heat-drying machine to repair your home of all water and mold damage. You can trust King’s Carpet Cleaning to thoroughly repair your home or place of business. Just like many store-bought carpet cleaning products, retail cleaning products that you use on your hardwood floors might do more harm than good. 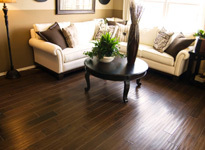 Some products actually cause build up that attracts more dirt and grime, leaving your once beautiful wood floors faded and dull. King’s Carpet Cleaning delicate yet deep cleaning system will remove the build up of soils to reveal the true beauty of your hardwood floors.